Gary Lane was born in Columbia, Kentucky. He spent his growing up years on a small farm where he was exposed to horses from an early age. After graduating from Adair County High School, he attended University of Kentucky, and then Eastern Kentucky University where he majored in law enforcement. Gary graduated from the Kentucky State Police Academy in March 1984. Gary’s career as an officer spanned many years working with Local, State and Federal Police Officers. As an officer, he investigated numerous high-profile cases and during Mr. Lane’s service at the London State Police Post he completed over 1000 felony arrests and convictions. Gary Lane retired as a senior Kentucky state police detective on August 4, 2008. Gary’s history includes service in the United States Active Army (1975 to 1982) Military Police Corps. His first active duty assignment was in Sierra, California then overseas assignment in Germany. After being selected for Officer Candidate School Gary was commissioned as a Second Lieutenant in 1982, he joined the Kentucky Army National Guard. His leadership duty assignments were many including the 149th Armor Brigade Scout Platoon leader, 149th Armor Brigade Communications Platoon leader, Company C Infantry Executive officer, 438TH MP Company Co, 2nd Platoon leader and Executed Officer, 198th Military Police Battalion Headquarters & Headquarters Detachment Commander, 198th Military Police Battalion S-2 Officer, 223RD Military Police Commander. Such service resulted in his appointment at the Kentucky Military Academy as the Senior Training Instructor. His personal history with horses and his professional work with training Calvary Officers have given him unique skills as a clinician. He has trained both riders and horses over a lifetime career. His particular skill in breaking down each training goal into simple, step-by-step assignments, for both the horse and the rider, insures success for all. 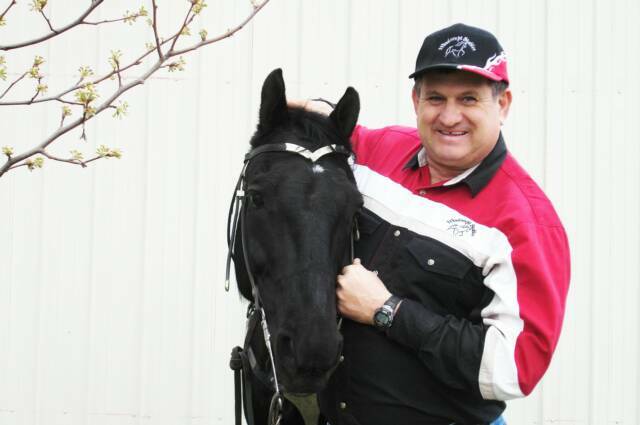 Gary has worked with gaited horses over many years. His personal investments at his own Windswept Stables have resulted in many awards and recognitions. For many years he has offered training clinics at his Stable and at numerous sites and events around the country. He is deeply devoted to enhancing the knowledge of both the novice and the professional gaited horse owner. A particular dedication is his focus on helping riders to develop the “free-going” horse that is the particular gift of the gaited breeds.